Services | Elias Bros. 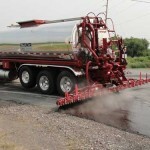 Contractors, Inc.
Asphalt repair can be performed by either patching or replacing damaged areas. 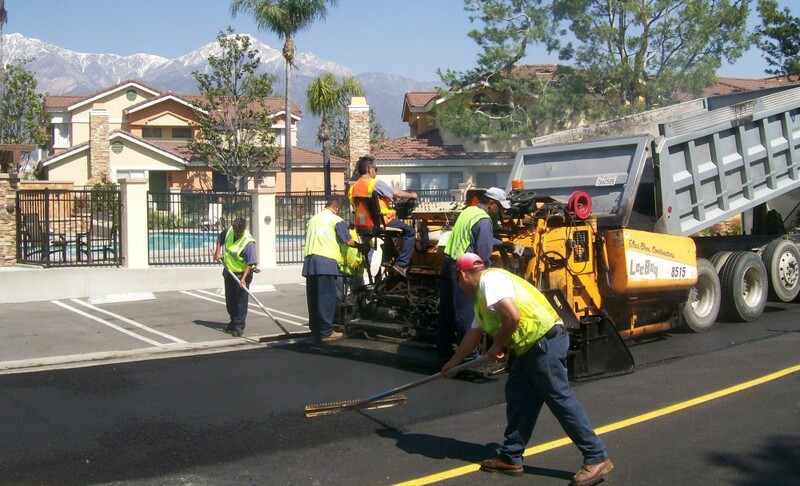 Patching is the most common maintenance performed on asphalt. It patches areas where a thin layer of asphalt is needed to repair the asphalt or even out a worn-down area of the pavement. Replacing damaged areas, like potholes, includes removing the asphalt around the damaged area. The hole is then cleared of debris and cleaned, and a layer of tack is applied to help new asphalt adhere. The hole is filled with new asphalt and compressed and sealed. Occasionally, asphalt pavement has failed beyond the point of repair- this is when removal and replacement of the asphalt is necessary. The defective asphalt is removed and hauled away, and the base material (sub-grade) is inspected. If needed, base material will be added and compacted to help support the new surface asphalt. 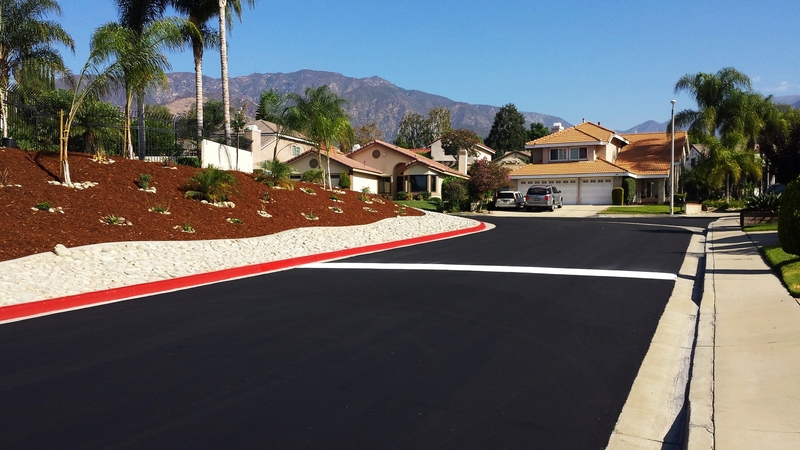 The new asphalt is then added and compacted, and your asphalt is now ready for preventative maintenance such as crack sealing, seal coat and road slurry, or the final touches of striping and signage! Concrete is used to form curbs and gutters because it is more resistant to water erosion than asphalt. Elias Bros. can construct or repair concrete including curbs, approaches, slabs, and foundations, sidewalks, access ramps, and valley gutters. Sometime an overlay is not enough to repair your asphalt, and yet your asphalt doesn’t need a full removal and replacement. This is when resurfacing and fabric installation may be a solution. 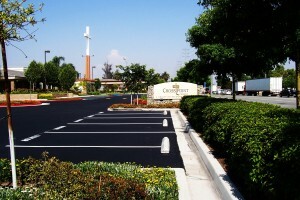 A geo-textile fabric is applied to your original surface with a tack coat, and then new asphalt is applied to the top. The fabric and tack coat layer creates a barrier between the sub-grad foundation and the new asphalt surface. This adds strength to your pavement and also protects your foundation from water and further degradation. Before any new paving is performed, the site must be inspected and prepped for the new asphalt surface. Elias Bros. works with you to determine your needs and designs. 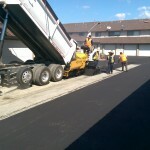 We then prep and level (grade) the area and apply the asphalt for your road, parking lot, etc. After smoothing the asphalt, it is now ready for the final touches of striping and signage! Crack threaten the strength of your pavement and can quickly turn a minor issue into a major one. They allow water to penetrate the pavement and seep into the foundation- this can lead to potholes and even the destruction of your asphalt’s base. Crack sealing can prevent that from happening. We clear the debris from the crack and fill it with an extremely hot-applied, polymer- based material that causes the sides of the asphalt in the crack to melt and form a strong bond with the sealer once it cools. Seal Coating and Road Slurry are types of protective barriers laid over the top of your asphalt, giving it a fresh, even, and attractive finish. 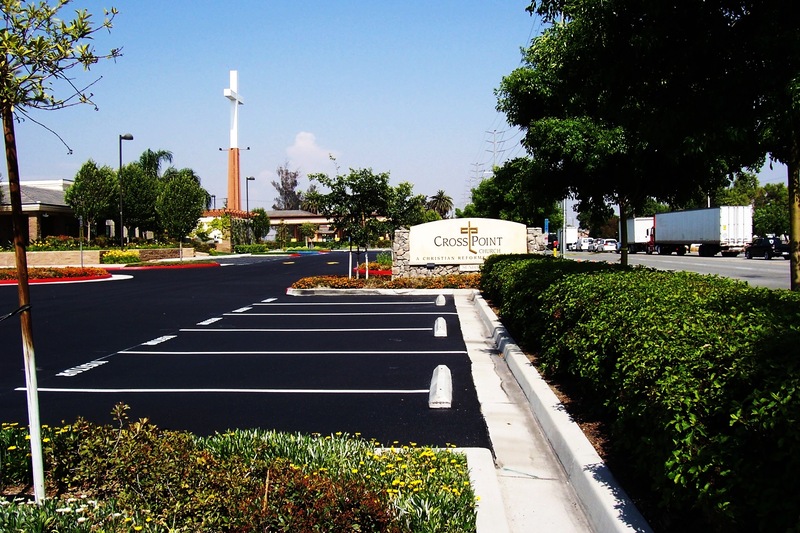 Seal coating gives your asphalt a uniform color and appearance and fills minor voids in the surface. Seal coating is recommended for pavement every 3 to 4 years. Slurry Seals can extend the life of your structurally sound pavement, and are not a solution for seriously deteriorated pavements. 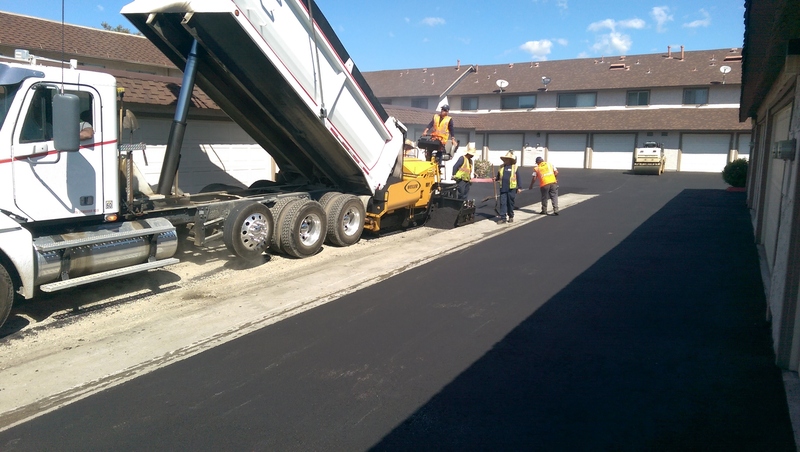 The seal is poured onto the asphalt and then smoothed out by our crew- this seal provides your asphalt with excellent protection from the harsh California sun! 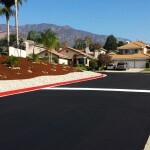 New paint gives your asphalt that beautiful and crisp finishing touch. Elias Bros. completes all of your paint striping and signage needs- parking lots, traffic directions, custom signage, curb painting, etc. 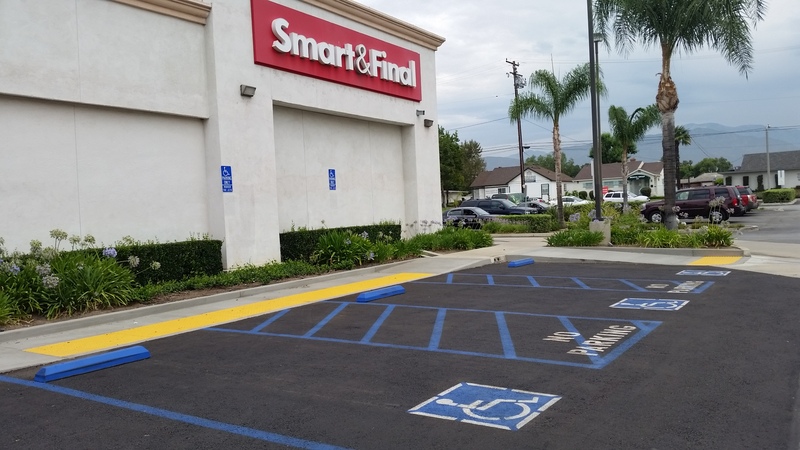 The American with Disabilities Act was passed in 1990, and has since set standards for paving and striping to allow safe accessibility for everyone. 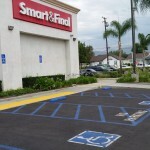 Elias Bros. can help you ensure all of your existing and new asphalt and concrete paving needs are ADA compliant. A low cost alternative to asphalt pavement used in trucking yards, constructions yards, or large storage or other industrial facilities. 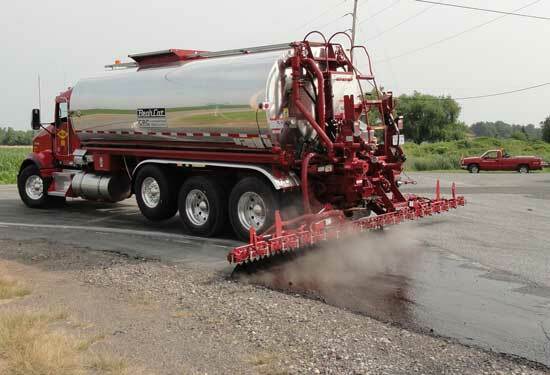 A great alternative for when budgets are tight and the cost of asphalt pavement is not an option.